Bru Joy Ultra-Sharp Dual Blade Vegetable Julienne Peeler. Now, you can't tell me that you don't think that the picture above doesn't look cool! It's great! I can do so many different things in the kitchen with this. These are the blades and they are really easy to clean. You just have to rinse them off a bit and then you can toss it into the dishwasher and it will clean it even better. Love how simple that is! I've been using it for weeks and it has not dulled or rusted at all. The blades are very sharp and it makes using any of the features on it a breeze as it will go through things smoothly and in a matter of seconds. 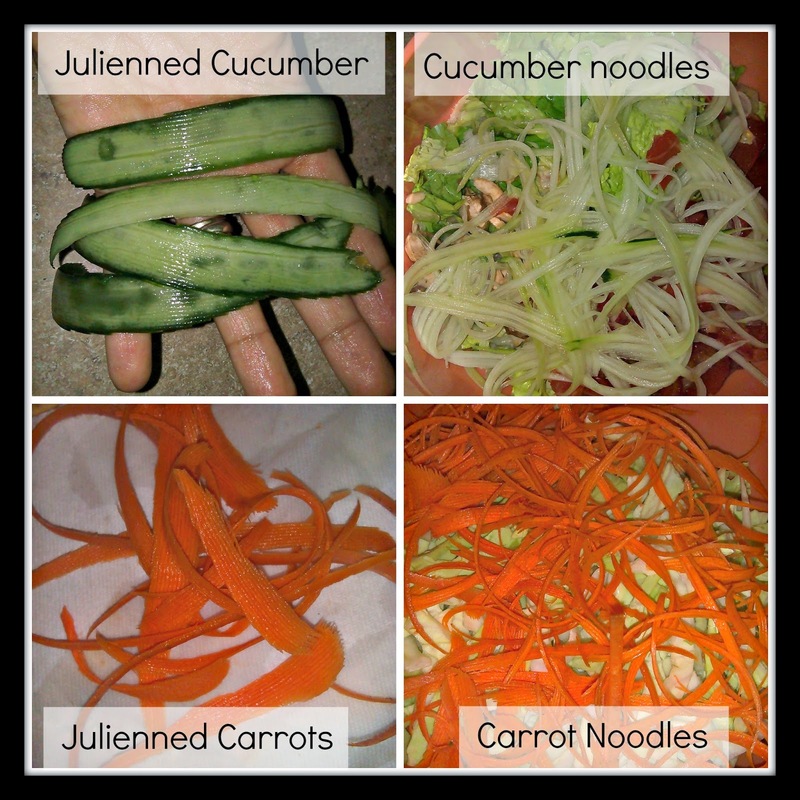 I love that I can make veggies into noodles or julienne them and toss them into cold salads and sandwiches. You can also use them in a ton of recipes! You can make them into a healthier noodle "pasta" and cook them or saute them. I've used them in desserts, lasagna, sauces, smoothies, breads, and a lot more. It also has a potato eye remover and can be used to slice cheese! You can also use it on fruit! This product is perfect for people looking to make healthier and quicker meals. Also for people who like to make fancy garnishes and decorative dinners for guests! I love mine. I use it practically every single day. Buy Your Own Bru Joy Vegetable Julienne Peeler on Amazon!